For the past few years, I've been using my old monitor that has a resolution of only 1366x768 with a TN Panel. While it's good for normal use like browsing the web, watching videos, productivity stuff, and casual gaming, it is terrible for editing photos and videos. The colors are not accurate, the contrast is bad and the viewing angle fades like your old worn-out jeans. And since I've started this blog and my youtube channel, I figured it's finally time to upgrade. My target is to get a monitor with an IPS Panel and at least a Full HD 1080p resolution for a budget of just around Php. 8000 and that's where I came across the Acer R230H. 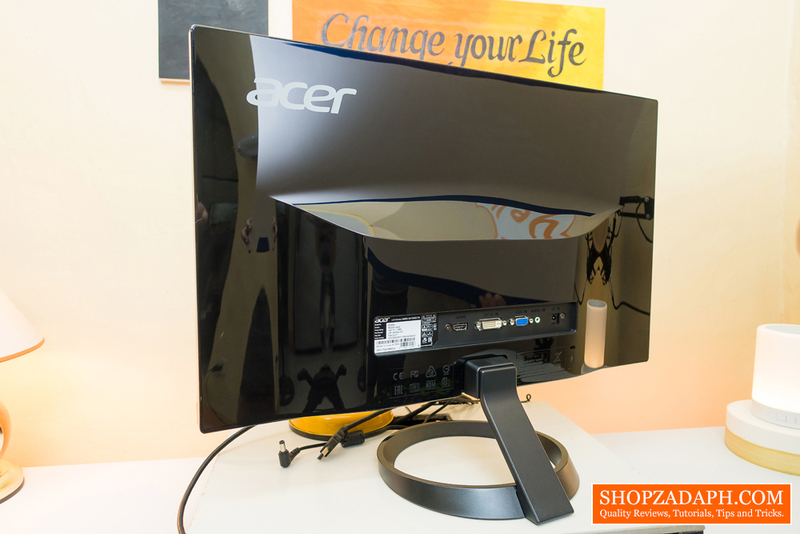 What stands out to me the most about the Acer R230H is its gorgeous IPS panel along with its almost frameless design. Not to mention the nice looking circular stand. 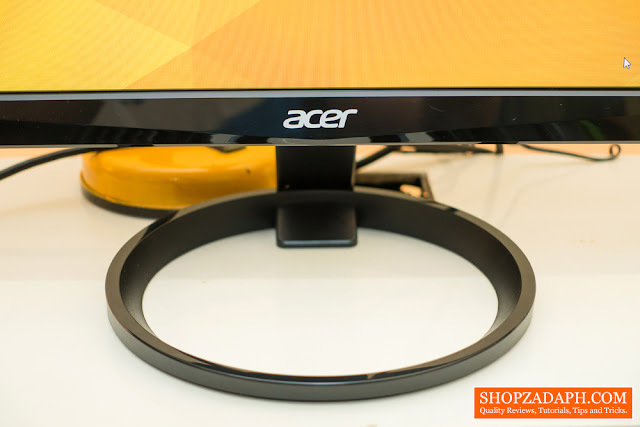 This is the 23inch version so it has a small black border around it but the monitor itself is almost frameless. It has a little bit of chin at the bottom with a glossy finish and some sort of a polygonal design. As you can see up close, it's almost frame-less with a glossy finish on its chin. The side of the monitor is about half an inch thin excluding the parts where the ports are located. 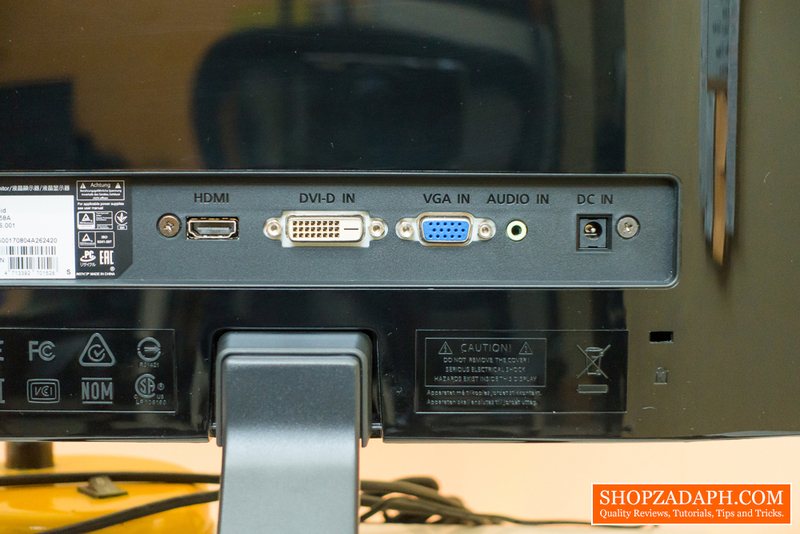 At the back, we have the HDMI, DVI, VGA, AUDIO and the power port. Take note that the Audio port is for input only so if you're planning to use this with a headphone or a speaker that wouldn't work. 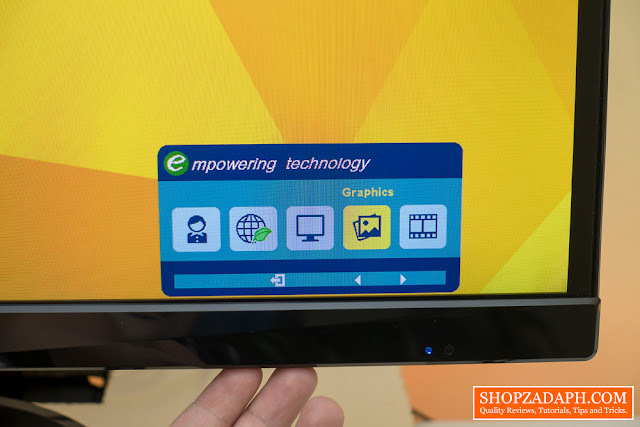 I forgot to mention in the video that this monitor has built-in speakers on it but it's worth noting that these built-in speakers are terrible. Base from my testing, my laptop's speakers are much better than the ones on this monitor. Another downside of this monitor is that it doesn't have a Vesa mounting option. Back at the front, we have this cool design for the stand but unfortunately, you can only tilt it up and down, left or right using the stand but no option to adjust its height. Moving on to the bottom right corner we have the menu buttons where you can adjust the volume and all of the settings of the monitor. The interface is a little bit old school but it's still usable and easy to navigate. 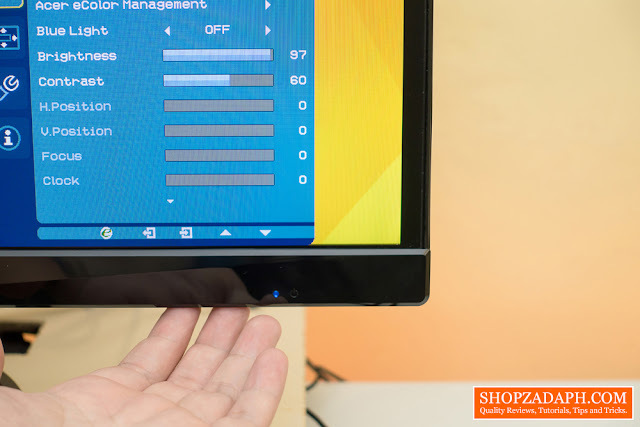 The best part of this Monitor's settings is that it has preset for different types of purposes like for watching movies, graphics for editing, standard, eco mode and your own user presets. I love how it's easy to switch between these modes. I personally use the graphics preset when I'm editing photos and videos, watching movies and youtube videos and other media consumption purposes. Then I use the user preset and have its brightness set to its lowest setting when I want to work with the lights OFF so that it's comfortable for my eyes. 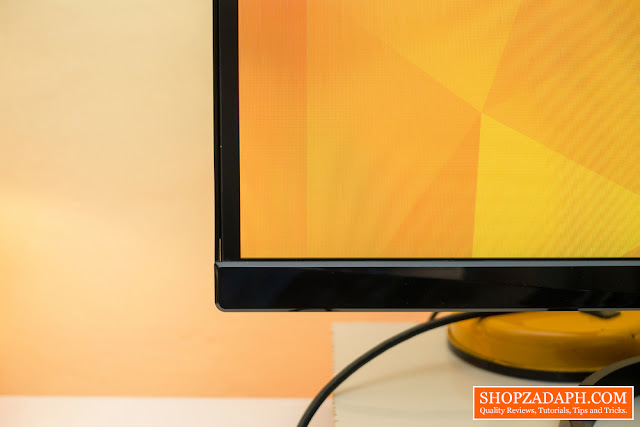 With regards to the quality of the display of this monitor, I only have good things to say about it. 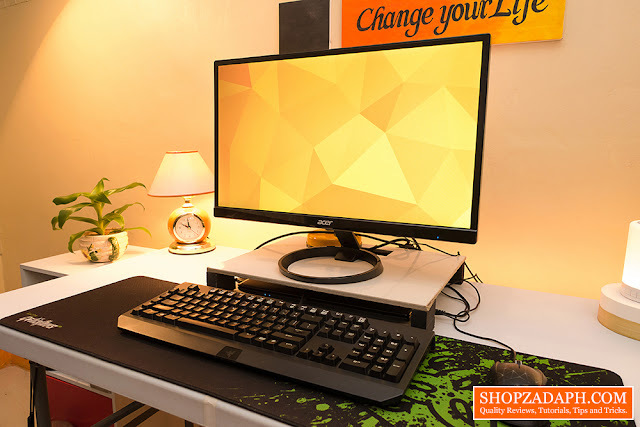 This monitor is one of the most affordable IPS monitor out there that is good for editing photos and videos as well as for general media consumption like watching videos, movies and stuff like that as well as casual gaming. 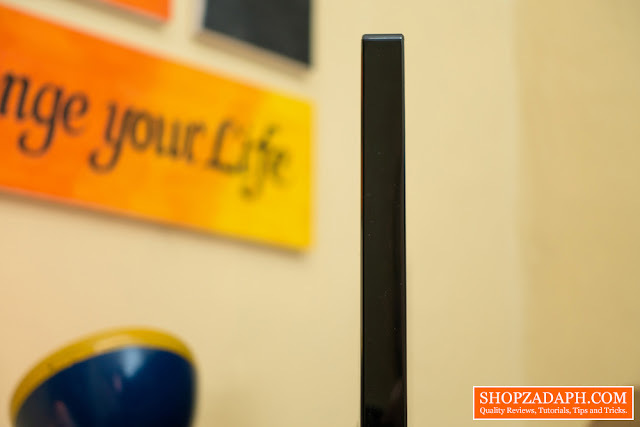 As an IPS panel, it does a pretty good job on color reproduction and great viewing angles. it has a 60hz refresh rate with a 4ms response time which is decent enough for casual gamers like me. 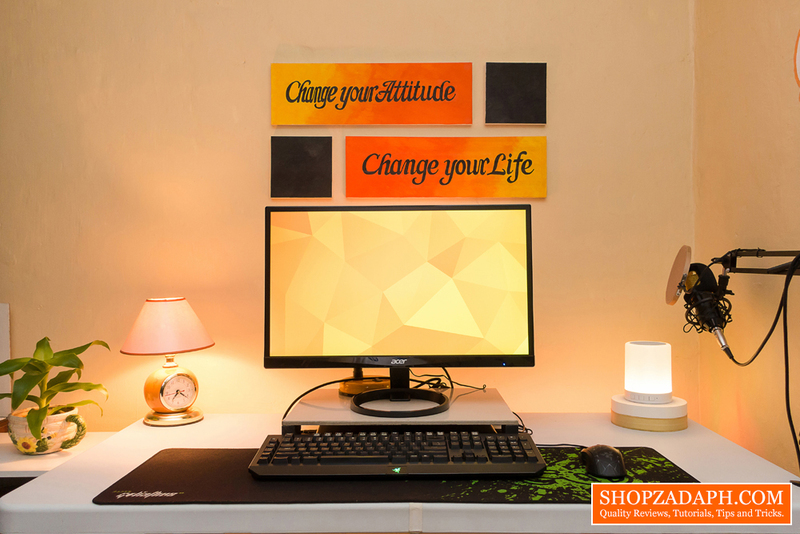 it has a brightness of around 250nits with a matte screen finish to minimize the reflections and maximize the quality of the display. 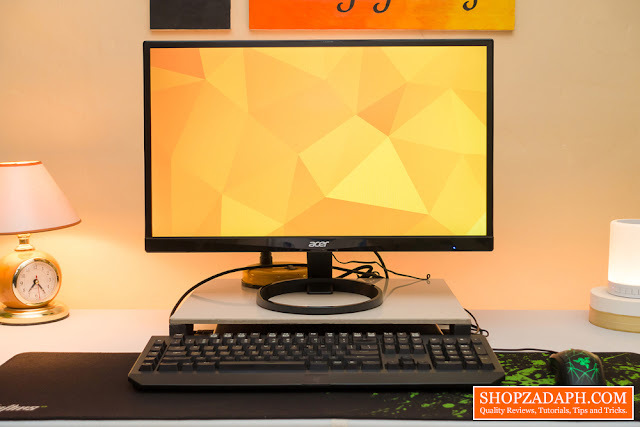 I highly suggest that you watch the video above in case you haven't already to see how good the quality of the display of this monitor. As I've mentioned, viewing angle is awesome for this monitor because of its IPS panel. In the video above, I demonstrated how this monitor maintains it's colors and brightness even at an extreme angle. It doesn't change when I tilted the screen both horizontally and vertically. You can buy a dedicated monitor for video editing with 100% RGB color accuracy but that usually cost more. And you can also buy a dedicated monitor for gaming with higher refresh rate and response time but that also cost more. 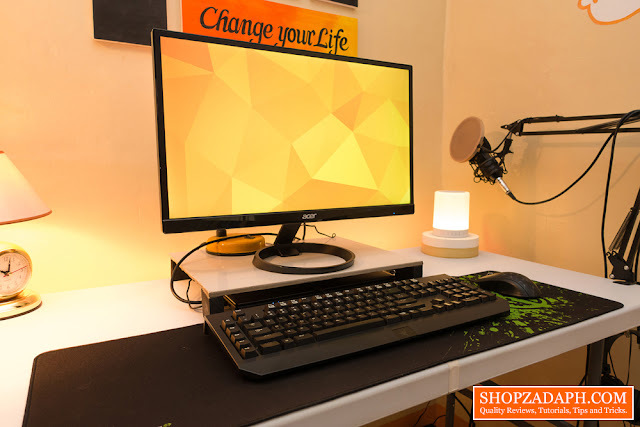 So this monitor sits right between a good editing and gaming monitor and if you're like me who frequently edits photos and videos and also does gaming on a casual basis and also on a tight budget, then this is definitely the one for you. 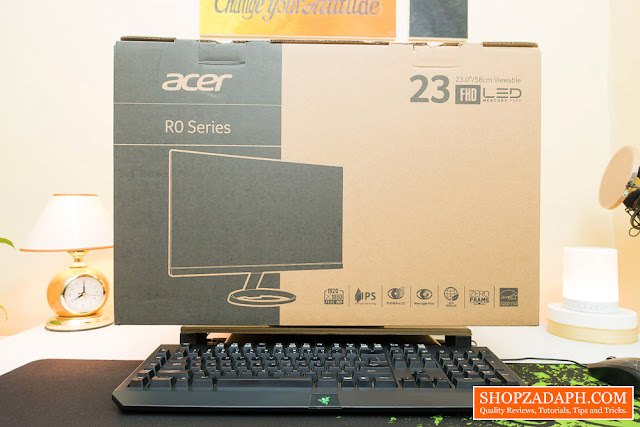 Again, coming from an old monitor with low resolution and poor colors, upgrading to the Acer R230H with good color reproduction and great viewing angles is totally worth it. I like the base! :) I'll ask my BF to check this out. He's looking for a good monitor.